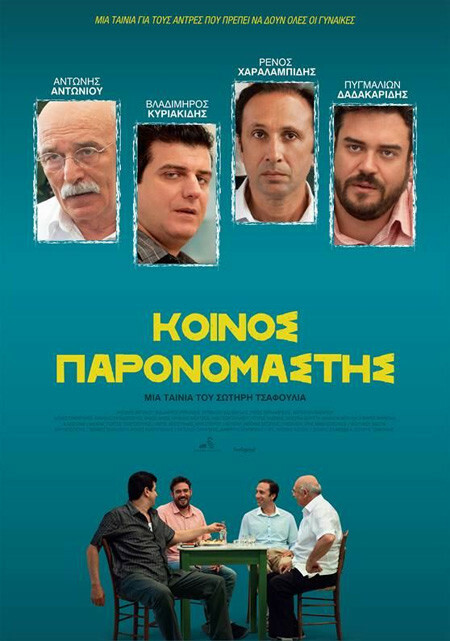 Three men, Nick, Jim and Alexander, meet in a small traditional coffee shop outside Athens by chance and they start chatting about women. The owner of the coffee shop Mr. Plato joins the conversation. Nick is there to see his girlfriend who as he says she has been cheating on him and he went there to straight things out with her. To him, all women are whores and not be trusted. Jim is there to meet the parents of his fiancé and he believes that happiness lies in a normal and quiet life without many expectations. To him women are the partner in order a man to achieve this kind of happiness. Alexander has gone there to meet a girl that has been chatting with through Internet for the last 4 months. To him, a woman represents the most romantic thing in the world. Mr Plato believes that women are divine, since the woman of his life is his daughter. Regions are unavailable for this movie. Click the "Watch on Netflix" button to find out if Common Denominator is playing in your country.